Theatre director and playwright Atamjit Singh, who recently received the Punjab Gaurav Sanmaan, on reaching new audiences through his translated plays and creating a stage for newer dialogue. A scene from Rishtian Da Ki Rakhiye. “I am an Indian playwright who writes in Punjabi, and I not writing only for Punjab and Punjabis, but for India. My greatest wish is that my people in my country, both readers and audience, should know me and my work. 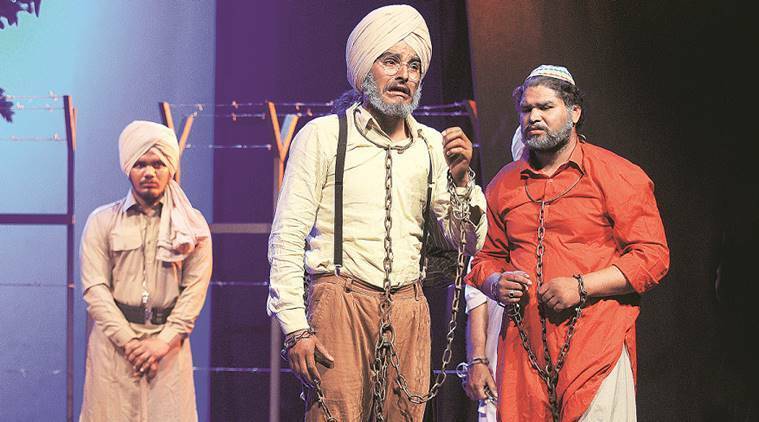 With my six plays now translated from Punjabi to Hindi, I know there will be a stage for new connects and dialogues,” says playwright and theatre director Atamjit Singh, who recently received the Punjab Gaurav Sanmaan. Panch Nad Ka Pani, Fish of the Kamloops, The Red Prophet, Main Tan Ek Sarangi Han, Rishtian Da Ki Rakhiye Naa and Tum Kab Laut Ke Ayoge are now on book shelves in Hindi, with Singh hoping these would be at hand in English too in the near future. 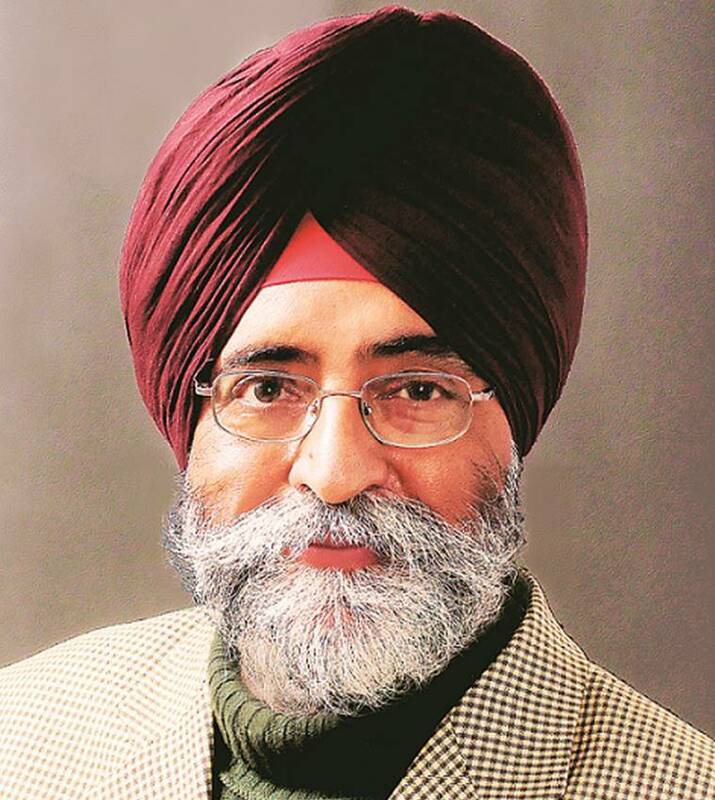 Recipient of the Sahitya Akademi Award and the Sangeet Natak Akademi Award, the Punjab Gaurav Sanmaan says Singh is another honour that he dedicates to the youth of Punjab. Singh’s characters are from the real world, and his subjects are universal, though his plots may be inspired by his roots here in Punjab. As a playwright, he knows no boundaries or limitations, armed with in-depth knowledge of Western dramatic traditions and an honest, humane understanding of ours. “I would like people to know how I look at my culture and country, they may know my name, but not my writing and in this context, these translations are vital. They may reject me, but I don’t want them to accept without reading. Like any other playwright I want to be staged in Hindi, so that hundreds of people at once can view my work,” says Singh, who has established a theatre group called Manchan Arts and Research Centre. War, migration, displacement, lives of the Punjabi immigrant community, Partition, exploitation of women and narrow nationalism are the varied subjects of Singh’s plays, but the work is not linear or simplistic, as there are many layers and meanings that also make the plays tough to stage, though most his plays have been staged by various groups. “When I write, I write as a director, for I understand the nuances of the stage, the metaphors, complexity of characters. Whatever your concern as a playwright, you want to showcase that. My themes are pitched in Punjab, but not confined to it,” Singh says. He talks of Fish of The Kamploons, a play about the four generations of Punjabi settlers in Canada and the dual lives they live, their conflicts with themselves and the world they inhabit. Rishtian Da Ki Rakhiye Naa is set in an asylum, with the inmates living in the past, unaware of the tragedy and loss of the Partition of India. Main Tan Ek Sarangi Han examines the many heard and unheard trials and tribulations that women face, as the sarangi becomes the voice of a group of women friends, whose stories and lives, and the bitter truths that they face, unfold little by little. Tum Kab Laut Ke Ayoge is a tribute to those who lost their lives in World War I, with Singh spending three years on research, using poetry to comment against narrow nationalism which created this war. The Red Prophet is a tribute to Makhan Singh, a Leftist thinker, who fought for the Kenyan freedom and his extraordinary life and commitment. Translating the plays was a big challenge and hard work, admits Singh, but the end result has been enriching, as the playwright believes because of the language, there will be adaptations by theatre directors across the country. Play readings is a medium that Singh uses to connect to varied audiences across the country. He likes to describe these as dramatic renditions, almost half productions, as he uses the stage movement’s lights to create an impact and touch people. For Singh, all world’s a stage, for as a playwright he can go anywhere and tell a new story, each time, every time.